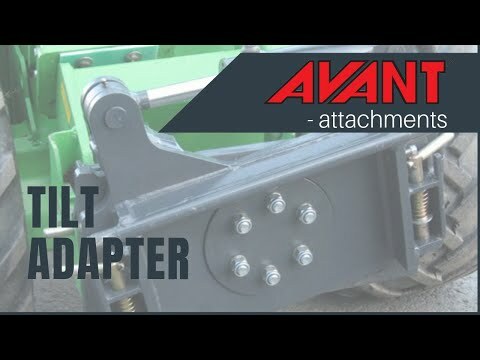 Tilt Adapter - Reach It! - Move It! - Crush It! Tilt adapter with max. 12.5 degree tilting in both directions. It is intended for buckets, leveller and pallet fork – for jobs where tilting is a must but the tilting angle doesn’t have to be greater than 12.5 degrees. Tilt adapter with max. 90 degree rotation, or 45 degree tilting in both directions. It is useful in applications where the attachment needs to be rotated more in order to get the job done: with grabbing tool (rotating of barrels etc. ), artificial turf attachment (to fit through narrow doors) etc.